Ruby is the most violently disturbed patient ever admitted to Drummersgate Asylum, high on the bleak moors of northern England. With no improvement after two years, Dr. Jack McGowan finally decides to take a risk and hypnotizes her-with terrifying consequences. A horrific dark force is now unleashed on the entire medical team, as each in turn attempts to unlock Ruby's shocking and sinister past. Who is this girl? And how did she manage to survive such unimaginable evil? 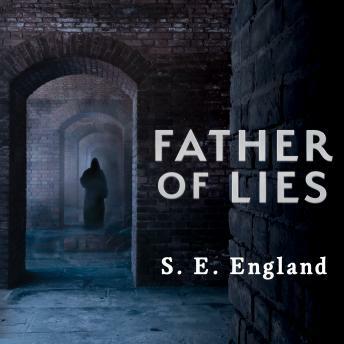 Set in a desolate ex-mining village, where secrets are tightly kept and intruders hounded out, their questions soon lead to a haunted mill, the heart of darkness, and the Father of Lies.